When HTC first introduced the U Ultra, then talked a lot about the phone’s AI smarts. 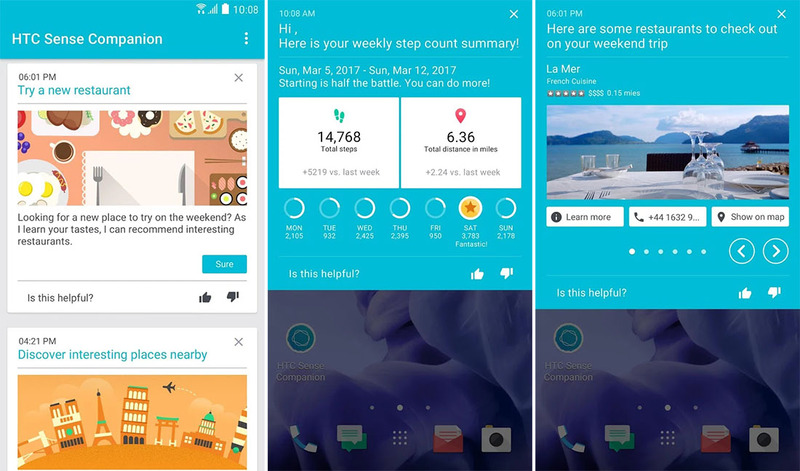 The U Ultra was supposed to include an assistant of sorts, called HTC Sense Companion, that could help you throughout a day and potentially learn from you the more you use your phone. We poked quite a bit of fun at it that day, because HTC was all sorts of excited about a not-yet-ready “AI” app they had built that basically did things Google Now had been doing for years. I’m not kidding either, HTC Sense Companion is just an app that isn’t baked into the phone and doesn’t appear to be all that advanced. 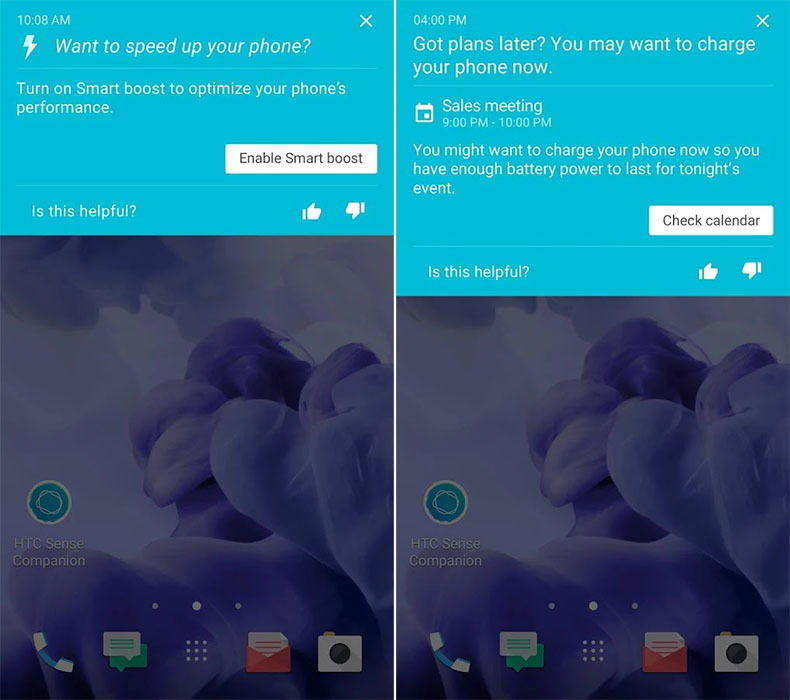 I say that because the app is now available to HTC customers and sure looks like a quarter-baked assistant application. On the HTC U Ultra sales page, HTC introduces the Sense Companion as an app that’s “always learning from you and the things you do every day.” They also mention that when “paired with built-in voice recognition,” it’ll be even more awesome. At this point, I have to assume they are talking about Google’s Assistant or voice control, because I just installed Sense Companion on my U Ultra and there is absolutely zero voice interaction here. When you first install it, you’ll connect it your HTC account and give it all sorts of permissions. From there, it’ll then show you info cards for things like a reminder to charge your phone before a late night meeting or a weekly step count summary, and recommend restaurants as you embark on an adventure. So it’s sort of a recommendation or suggestion app that attaches to your calendar and can count steps? Is that it? OK, then. If we discover another level to this app that we’re just not seeing, we’ll be sure to update this post.